Inner Asia is a term that refers to regions within Asia that are today part of western China, Mongolia and eastern Russia. 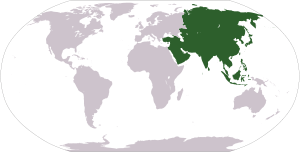 It overlaps with some definitions of Central Asia, mostly the historical ones, but certain regions of Inner Asia (such as Northeast China) are not considered a part of Central Asia by any of its definitions. Inner Asia may be considered as the "frontier" of China, and as bounded by East Asia, which consists of China, Japan, and Korea. The extent of Inner Asia was seen differently in different periods. "Inner Asia" is sometimes contrasted to "China Proper", that is, the original provinces, those with majority Han Chinese populations. In 1800 it consisted of four main areas, namely Manchuria (modern Northeast China and Outer Manchuria), Mongolia (Inner and Outer), Xinjiang and Tibet. These areas had been recently conquered by the Qing dynasty but were governed through different administrative structure not as regular provinces during most of the Qing period. The Qing government agency known as the Lifan Yuan was established to supervise the empire's Inner Asian regions. Inner Asia has a range of definitions and usages. Denis Sinor defined Inner Asia in contrast to agricultural civilizations, noting its changing borders, such as when North China was occupied by the Mongols, or when Anatolia came under Turkish influence, eradicating Hellenistic culture. Scholars or historians of the Qing dynasty such as those of the New Qing History often use the term "Inner Asia" when studying Qing interests or reigns outside China proper. In French, "Asie centrale" can mean both "Central Asia" and "Inner Asia"; Mongolia and Tibet by themselves are termed "Haute-Asie" (High Asia, or Upper Asia). The terms meaning "Inner Asia" in the languages of Inner Asian peoples are all modern loan translations of European, mostly Russian, terms. 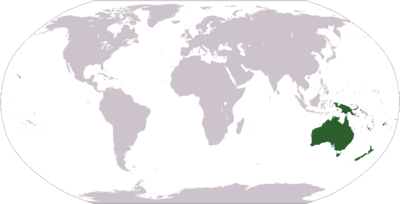 "Central Asia" normally denotes the western, Islamic part of Inner Asia; that is, Kazakhstan, Uzbekistan, Kyrgyzstan, Turkmenistan, and Tajikistan, with Afghanistan sometimes also included as part of Central Asia. However, The Library of Congress subject classification system treats "Central Asia" and Inner Asia as synonymous. The definition that can be given of Central Eurasia in space is negative. It is that part of the continent of Eurasia that lies beyond the borders of the great sedentary civilizations.... 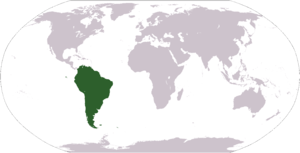 Although the area of Central Eurasia is subject to fluctuations, the general trend is that of diminution. With the territorial growth of the sedentary civilizations, their borderline extends and offers a larger surface on which new layers of barbarians will be deposited. ↑ Bulag, Uradyn E. (October 2005). "Where is East Asia? Central Asian and Inner Asian Perspectives on Regionalism". Japan Focus. ↑ Book Abstaract: "Inner Asia: Making a Long-Term U.S. Commitment." Authors: Carol D. Clair; Army War Coll Carlisle Barracks Pa. Retrieved: 22 August 2009. ↑ The Cambridge history of early Inner Asia, Volume 1 By Denis Sinor. Retrieved: 22 August 2009. ↑ Research Institute for Inner Asian Studies (RIFIAS). Indiana University in Bloomington, Indiana. Retrieved: 22 August 2009. ↑ Rossabi, Morris (1975). China and Inner Asia: from 1368 to the present day. Pica Press. p. 10. ↑ Sinor, Denis (1997). Inner Asia: History, civilization, languages: a syllabus. p. 4. Di Cosmo, Nicola. 1999. "State Formation and Periodization in Inner Asian History". Journal of World History 10 (1). University of Hawai'i Press: 1–40. http://www.jstor.org/stable/20078749. Rogers, J. Daniel. 2012. "Inner Asian States and Empires: Theories and Synthesis". Journal of Archaeological Research 20 (3). Springer: 205–56. http://www.jstor.org/stable/41680525. The Association for Asian Studies (AAS): The China and Inner Asia Council (CIAC). Indiana University at Bloomington: Research Institute for Inner Asian Studies (RIFIAS). University of Cambridge: Mongolia and Inner Asia Studies Unit (MIASU).